The ruling brings to nearly $10 billion the amount in fines the European Union has imposed against Google. And it underscores the increasing regulatory pressure and political attacks that big tech companies are facing worldwide over not just competition but privacy infractions, online misinformation, hate speech and other abuses. The ruling applies to a narrow portion of Google's ad business: when Google sells ads next to search results on a third-party website. Investigators found that Google inserted exclusivity clauses in its contracts that barred these websites from running similarly placed ads sold by Google's rivals. But Vestager said it appeared rivals haven't been able to catch up, and some are "quite small." 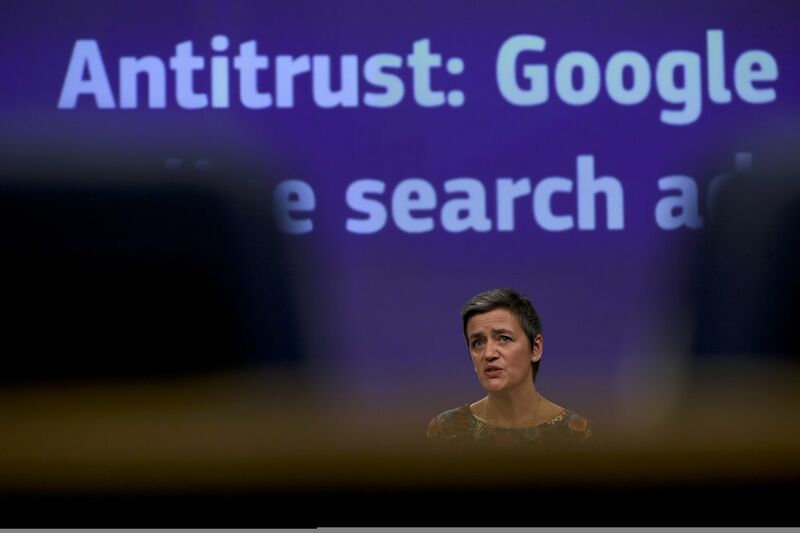 By contrast, the EU said Google has more than 70 percent of the European market for selling ads that run alongside search results on third-party websites.